It was a full house at Meridian Pint in Washington, D.C. The largest ever Craft Brewers Conference had just concluded and many of its attendees had traveled uptown to this good beer pub in the Columbia Heights neighborhood of Washington, D.C. All 23 taps, as well as 23 casks, were pouring beers from 20 local breweries in Washington, D.C., Maryland, and Virginia. It was loud. It was boisterous. It was a celebration. Surrounded, this gentleman was able to tune it all out, and simply enjoy his beer. See the list of beers he was perusing: here. 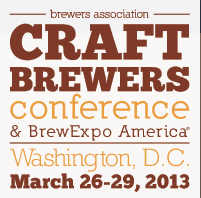 The annual Craft Brewers Conference has arrived in Washington, D.C., running today through Friday. Rather than a consumer beer tasting and brewery competition, this is a confab of and for brewers: the technology and science of beer, the business of beer, the selling of beer, the regulations of beer. And, of face-to-face networking. The peers of beer, if you will. From March 26-29, America’s small and independent craft brewers will gather in Washington, D.C. for the 30th edition of the Craft Brewers Conference (CBC) & BrewExpo America. Presented by the Brewers Association, CBC is the largest industry event, serving both brewpubs and packaging breweries. CBC joins brewers from across the country for over 80 seminars focusing on topics including sustainability, sales, packaging and export development, along with daily receptions, brewery tours, and hospitalities. BrewExpo America is the premier trade show for brewers, with hundreds of vendors showcasing the latest and best products and services. It's important to understand what is meant by 'craft' brewery. This is not a legal, governmental, term. It is a definition of and by the breweries themselves, through their trade group, the Brewers Association, organizer of the event. There is some controversy about that definition, which many have addressed (including me). This week, that's a discussion deferred. This is the first time in its history that the Conference has 'been' to Washington, D.C. 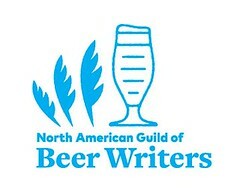 I myself have been to two Craft Brewers Conferences: one in Austin, Texas, in the early 1990s, the other in Seattle, Washington in the late 1990s. In the 'craft' beer world, that's a virtual lifetime ago: much has changed, the number of breweries ballooning to over 2,000, the most ever in the history of brewing in the United States. Working for a wholesaler, I sell beer for a living; so I'll be at the CBC to drum up brewery business. But, as I wrote in this blog's masthead, I'm a lover of beer: not simply with its flavors —as delicious, complex, and varied as they may be— but with its history, science, lore, and evolving creation. Those are the reasons why this week will be, for me, a privilege and a treat. The new breweries of Washington, D.C., and those of neighboring Virginia and Maryland, will proudly be playing host. The 'craft' beer bars and restaurants of the area will be pulling out all the stops with a multitude of events, most open to the public. There will be telling of tall tales. There will be drinking of beer. Much. Clamps & Gaskets: News Roundup for Weeks 9/10, 2013. "Alcohol and its role in the evolution of human society" by Ian Hornsey. Book review by A Good Beer Blog. Bamberg, Germany, and its smoked beers. Via Roger Protz. The experiments with tradition at bourbon distillery Buffalo Trace. Via Queen City Drinks. The New York Times takes exception to the "wineification' of beer. The Beermonger takes exception with the New York Times. The 2012 wine vintage in Austria will be well below the yearly average, but the quality is predicted to be high. Via Austrian Wine USA. Twenty beer quotes that may deserve to be better known. Via Zythophile. The Stuff of Legends: a crowd-funded documentary about 19 year-old Legend Brewing of Virginia. The U.S. 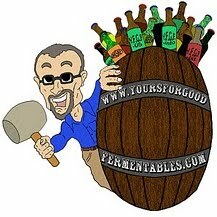 Brewers Association Association releases new Beer Style Guidelines for 2013: 142(!) styles. Anheuser-Busch InBev begins an ad campaign to combat charges of watering down Budweiser. Via Houston Chronicle. A summary of the rapid growth of the 'craft' beer industry in the Richmond, Virginia, area. Via Richmond Times Dispatch. Craft beer myths that, unfortunately, persist. Via Huffington Post. Is Twitter killing the beer blog? Via Beervana. The repeal of Prohibition came late to Washington, D.C.: 79 years ago, on 1 March 1934. Via YFGF. Barboursville Vineyards wins the Virginia Governor's Cup for the fourth time. Via Washington Post. The overreaction to Maker's Mark's proof dilution, and un-dilution. Via Washington Post. Five common draught beer mistakes. Via Micro Matic. What if Prohibition had never happened? Charlie Papazian —founder of American Homebrew Association and Brewers Association— proposes an alternate history of consolidation, tied houses, and little 'craft' beer. Anheuser-Busch InBev and SABMiller own more than 200 brands in 42 countries, including 18 in the U.S. Via NPR. 15 breweries and counting. "New York’s Ale Awakening: How a Cocktail City Learned to Love Beer." Via TIME. Rye whiskey being distilled at Catoctin Creek Distillery, in Purcellville, Virginia. I visited the facility one Saturday in March, and took the tour, offered by co-owner/distiller Scott Harris. Here's what I learned. Organic rye malt from Kansas is mashed, and the wort (sweet liquid) is boiled. Cooled to room temperature, it is fermented over a week's time in 310-gallon plastic fermenters. The resultant 'wash' is then distilled, vaporized in a 400-liter still. The distillate is cooled by a tap-water counter flow chiller. Alcohol condenses before water, and is collected as it streams from the still. The initial condensate, or "heads," is 'impure' containing such by-products as acetaldeyde. It is discarded. The end of the distillate, or "tails," consisting of fusel alcohols (such as methanol and acetate) and water, is also considered impure and is discarded. The rye whiskey is bottled both un-aged as a "white' spirit, at 80 proof, called Mosby's Run, and as Roundstone Rye, which is aged for a minimum of two years in 30-gallon Missouri oak barrels. Catoctin Creek is currently producing about 40,000 bottles per year: the above two and a gin infused with juniper, coriander, cinnamon and lemon peel. Additionally, the distillery produces brandy, distilled from Virginia grapes, the first ever in Virginia. At present, the spirits are sold primarily in Washington, D.C., Maryland, and Virginia. The volume sold in the District is more than that of the two states combined. Additional shipments go to Pennsylvania, New York City, and, soon, to Georgia. Photograph taken 9 March 2013. See more: here. This past week we brought Maryland House Bill 4 to your attention. If passed, this bill will allow Maryland breweries to sell beer by the glass in their taprooms. House Bill 4 (HB 4) was scheduled for a vote in the Economic Matters Committee this past Monday, but was delayed because of the overwhelming response from supporters of Maryland beer. The lead Sponsor of the legislation, the Honorable Delegate Jeannie Haddaway-Riccio of the Eastern Shore, has tirelessly stood tall in the name of Maryland Beer. She deserves our thanks; as well as our admiration. Many craft breweries around the country are already able to sell beer by the glass. The passing of HB 4 will enable manufacturing breweries to grow their taproom experience, entertain more impromptu visits, increase tourism, and grow business across the state. The Brewer's Association of Maryland continues to assert that as more people are able to visit Maryland breweries, sales of craft beer will increase, not only in those breweries, but also in other small businesses such as local restaurants, pubs, and beer stores throughout the community. When successfully passed, HB 4 will be scheduled to be signed by Governor O’Malley, and will go into effect July 1, 2013. The bill's Senate analogue is SB32, sponsored by Senator Richard Colburn, of the Eastern Shore. According to BAM, there are a few more brewery-related bills up for consideration. Senate Bill 955 would permit production breweries (that is, not a brewpub) to fill and sell growlers to go. Both this and HB4/SB32 would put Maryland breweries on the same footing as breweries in Virginia and the District of Columbia, where laws were only recently changed to permit beer to be sold by the glass for consumption in brewery tasting rooms and to allow the sale of filled growlers of beer. House Bill 230 would allow farm breweries to contract with brewpubs to produce beer for the farm brewery with ingredients grown on the farm. And, finally, HB231/SB223 would allow brewpubs to self-distribute the beers they brew to other restaurants and shops. J.T. Smith —the Association's Executive Director— adds that "this is an incubator policy for brew-pubs to self-distribute up to an annual limit [to be determined] at which point they will go into 'normal' distribution via the 3-tier system." The neighboring state of Virginia has set up a public-private program to assist small wineries in that state (but not small breweries). This is good work by the Brewer's Association of Maryland on behalf of its twenty-six members. If you live in Maryland, support the effort by contacting your state Senator and Delegate, and urge their support of the bills. It makes good political sense; it makes good local business sense; it makes good beer sense. UPDATE: Passed and signed into law. At the intersection of the Washington and Old Dominion Trail and the Four Mile Run Trail: purple blossoms in late winter. 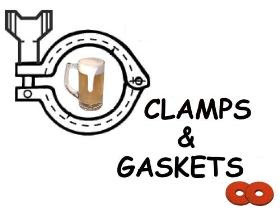 Clamps & Gaskets: News Roundup for Weeks 7/8, 2013. Mexican 'craft' brewers fight duopoly control of market; to increasing success in Baja California, but difficulties remain elsewhere. Via San Diego Magazine. Hotel chains begin to stock local craft beer at their bars. Via Hotel News Now. Craft beer pioneer Anchor Brewing to open second brewery, to be located outside AT&T Park in San Francisco, increasing yearly capacity. Via IBABuzz. Long-time Maryland brewery DuClaw Brewing moving from original Harford County location to Baltimore County; to automate, double capacity. Via Perry Hall Patch. Boston Beer Company to release its flagship Boston Lager in specially can designed with flared top to approximate flavor like drinking from a glass. Via BrewBound. The story of Virginia 'craft' beer pioneer, Allen Young, and of those who have followed him. Via Distinction Hampton Roads. It's not the 1960s anymore! Yoko Ono turns 80. Via Wikipedia. Pricing, scarcity, brand management, and bourbon. Maker's Mark takes heat after reducing proof to 82. Returns recipe to 90 proof. Via Bourbon Blog. Analysis of Maker's Mark alcohol-diminution retreat. Via Washington Post. 8th annual American Craft Beer Week announced for 13-19 May 2013. Via Brewers Association. Asteroid DA14 passed by Earth by 17,200 miles, closer than the orbits of geosynchronous satellites. Via Guardian. Russian citizens upload footage of the day's other, unnamed and unexpected, meteor blast and its aftermath. Via Mashable. U.S. National Cider Summit held in Chicago, Illinois. Via Food Republic. The myth of the "beer belly." Via Shine. How to chill a beer in 2 minutes. Via Alton Brown on Late Night with Jimmy Fallon. Profile of Washington DC's new and only distillery, New Columbia Distillers, via Washington Post. The Roman Catholic Church's Pope Benedict to step down, citing poor health. Last Pope to resign did so in 1415. Via Yahoo. Beer distributors in the United States employ 130,000 people, add $54 billion to GDP, pay $21.3 billion in taxes. Via National Beer Wholesalers Association. Truman Cox, Master Distiller at A.Smith Bowman Distillery of Fredericksburg, Virginia, has died. A server seems to dance, while presenting eight small pours of draught beers from Allagash Brewery, of Portland, Maine. All told, fourteen Allagash draught beers were available to patrons during an Allagash 'tap takeover' that evening, at Pizzeria Paradiso. See the register of all fourteen beers: here. Pic(k) of the Week: one in a weekly series of personal photos, often posted on Saturdays, and often, but not always, with a good fermentable as a subject. Camera used: Olympus Pen E-PL1. Commercial reproduction requires explicit permission, as per Creative Commons. Legend Brewing will turn twenty in 2014. You can support a documentary about this stalwart Richmond brewery, by contributing to its production, at IndieGoGo, no later than 2 April 2013. A year in the life of Legend Brewing, a craft brewery and pub in Richmond, Virginia, as they prepare for their 20th anniversary, add Hopfest to their year round line, take their beers to festivals and navigate the complex world of inter-state distribution laws as they seek to expand their footprint. Forget glamour and glitz -- we’ll take you inside the real process so you’ll understand the art of beer making as well and capture the story of how this brew has united people-- from professional rock climbers to college professors--who otherwise would not even know one another. And we’ll document the legends of Legend from runaway kegs, to ice storm lock-ins to the showdown between two local rival TV personalities. And perhaps most importantly, we’ll show you just how significant a brewery can be to the local economy and community. If you care about American small business, see the value of the local food movement or just love a great beer, please support this film. When this film is completed it will be Horse Archer Productions’ ninth documentary, so we know how to do this right . . . but we need your help. The funds will go directly to cover costs associated with production and post-production of the documentary. There are several costs you probably never thought of, from legal fees and insurance to travel expenses, supplies and design work. But, the most important thing is being able to pay our crew fairly. Independent film companies like ours rely on freelance workers who deserve fair compensation. We believe in paying artists. I'm delighted to see Legend Brewing and its brewmaster, John Wampler —underhyped stars of the Virginia brewing scene— get some well-deserved props. More on the fundraising campaign, which hopes to raise $28,000 by 2 April 2013, at the crowd-funding site, IndieGoGo. Follow the documentary on Facebook. Follow Legend Brewing (there's no 's') at Twitter @LegendBrewingCo; on Facebook; at its website: www.legendbrewing.com. From a couple of years ago, a look at Legend Brewing on its 17th anniversary: here. Follow Horse Archer Productions at Twitter @horsearcher; on Facebook; at its website: horsearcherproductions.com. I hope the production company, HorseArcher, drops the clichéd use of the opening fanfare to Richard Strauss' tone poem Also Sprach Zarathustra. The producers have assuaged me that that was used only for the teaser. It will not be soundtrack for the trailer or finished film. Whew! It's been twenty-two years and counting since I last consumed an animal. On 17 February 1991, I declared meat independence. No trumpet fanfares. Just did it. The words "vegetarian" and "vegan" are so fraught with connotations and clarifications, that I avoid them, and say, "I don't eat animals." Even that simple declaration seems to sow confusion. "So, do you eat fish?" To which, I want to sarcastically reply that the fish plants are growing well next to the tomato vines. But, I don't. I am not a raw-foodist, however. I might juice; I might eat raw vegetables; but the majority of my calories comes from cooked food, as it does for most other humans. In my mind, this begs an elemental question: Why do humans cook food. And when did they start doing so, and are cooked foods less nutritious than raw foods? Researchers at the Federal University of Rio de Janeiro have conducted research into the rapid evolutionary growth of the human brain. They have concluded that this evolutionary burst required a drastically higher higher caloric load than, say, that needed for the vegetarian gorilla's brain. They cite meat-eating and cooking (of meat AND vegetables) as having been essential to human development: meat because it was calorically more dense than vegetables and fruits. Wrangham believes that cooking and humanity arose simultaneously. He thinks that cooking and other forms of preparing food are humanity's “killer app”: the evolutionary change that underpins all of the other—and subsequent—changes that have made people such unusual animals. Humans became human, as it were, with the emergence 1.8m years ago of a species called Homo erectus. This had a skeleton much like modern man's—a big, brain-filled skull and a narrow pelvis and rib cage, which imply a small abdomen and thus a small gut. Hitherto, the explanation for this shift from the smaller skulls and wider pelvises of man's apelike ancestors has been a shift from a vegetable-based diet to a meat-based one. Meat has more calories than plant matter, the theory went. A smaller gut could therefore support a larger brain. Dr Wrangham disagrees. When you do the sums, he argues, raw meat [even though it has more calories than plant matter] is still insufficient to bridge the gap. He points out that even modern “raw foodists”, members of a town-dwelling, back-to-nature social movement, struggle to maintain their weight—and they have access to animals and plants that have been bred for the table. Pre-agricultural man confined to raw food would have starved. Start cooking, however, and things change radically. Cooking alters food in three important ways. It breaks starch molecules into more digestible fragments. It “denatures” protein molecules, so that their amino-acid chains unfold and digestive enzymes can attack them more easily. And heat physically softens food. That makes it easier to digest, so even though the stuff is no more calorific, the body uses fewer calories dealing with it. In support of his thesis, Dr Wrangham, who is an anthropologist, has ransacked other fields and come up with an impressive array of material. Cooking increases the share of food digested in the stomach and small intestine, where it can be absorbed, from 50% to 95%. There’s no denying that some nutrients are lost when foods are cooked. Simple strategies such as steaming food rather than boiling, or broiling rather than frying, can significantly reduce the loss of nutrients when you’re cooking food. Virtually all minerals are unaffected by heat. Cooked or raw, food has the same amount of calcium, phosphorus, magnesium, iron, zinc, iodine, selenium, copper, manganese, chromium, and sodium. The single exception to this rule is potassium, which — although not affected by heat or air — escapes from foods into the cooking liquid. With the exception of vitamin K and the B vitamin niacin, which are very stable in food, many vitamins are sensitive and are easily destroyed when exposed to heat, air, water, or fats (cooking oils). [But] Some foods are less nutritious raw because they contain substances that destroy or disarm other nutrients. For example, raw dried beans contain enzyme inhibitors that interfere with the work of enzymes that enable your body to digest protein. Heating disarms the enzyme inhibitor. Some, foods (such as meat, poultry, and eggs) are positively dangerous when consumed raw (or undercooked). The archaeological evidence for ancient cookery is equivocal. Digs show that both modern humans and Neanderthals controlled fire in a way that almost certainly means they could cook, and did so at least 200,000 years ago. Since the last common ancestor of the two species lived more than 400,000 years ago fire-control is probably at least as old as that, for they lived in different parts of the world, and so could not have copied each other. So, maybe evolution isn’t a reason to 'go' vegetarian. But, there are significant environmental, economic, ethical, moral, and health reasons to go there. "With supermarkets and refrigeration, humans today can and increasingly do eat a vegetarian or vegan diet year-round. And given the amount of heart-stopping saturated fats in factory-produced animal products, a plant-based diet can be more healthful" (along with highly processed foods). Finding calories is not difficult in the modern era. With good fortune YFGF will be going for at least another 22 years of meat-free eating. As I said in a 2008 post celebrating this anniversary: "Now, beer: ahh! That IS a wonderful vegetarian foodstuff!" I hope this post is not interpreted as an anti-raw-food screed. Far from it. From Dr. Douglas Graham, here's here's strategy for modern raw food eaters to avoid caloric deficiency. Joe Yonan, the editor of the Food Section of the Washington Post, a major U.S. newspaper, has "come out" as a vegetarian: that is, he eats no animal flesh, but does eat dairy and eggs. 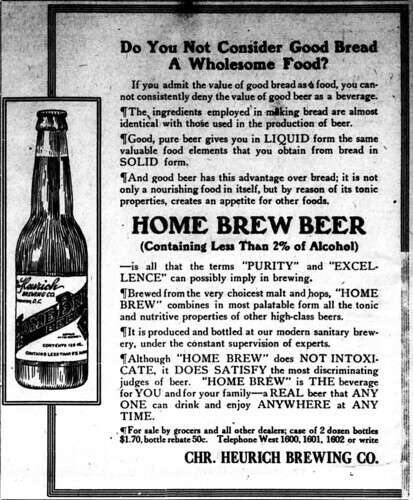 An advertisement published in the Washington Herald on 7 February 1913, promoted Heurich Home Brew, a beer brewed by the Christian Heurich Brewing Company. At less than 2% alcohol-by-volume, this was pretty much a 'near beer,' and possibly a test of what the Washington, D.C., brewery might have to produce if Prohibition were ratified. National Prohibition began on 17 January 1920, when the Eighteenth Amendment went into effect, and would continue through 5 December 1933, when it was repealed by the ratification of the Twenty-first Amendment, an interregnum that H.L. Mencken, Baltimore-based literary reporter/satirist, referred to as those "Thirteen Awful Years." In Washington, D.C., it was even more awful. There, local Prohibition had begun nearly three years earlier, when on 1 November 1917, Congress, under its Constitutional authority over the city, enacted the Sheppard Act, prohibiting the manufacture, distribution, and sale of intoxicating beverages within the District Of Columbia. Congress wouldn't repeal the city's Prohibition until 1 March 1934, three months after the rest of the nation. However, although tardy, that repeal legislation would become a model for other jurisdictions in the U.S. on how to regulate, license, and control alcohol sales, as opposed to dispensing it directly. 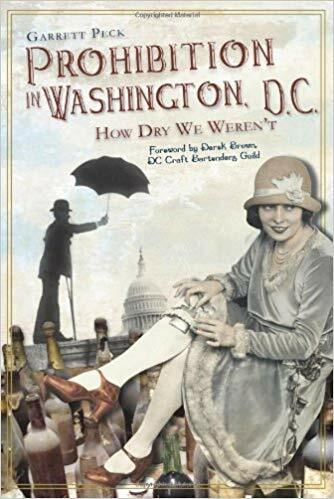 — Prohibition in Washington, DC: How Dry We Weren't. Garrett Peck. How dry we were. How inchoate we remain. I like the (accidental) 21st century Bruegel-esque composition of the photo: diners enjoying the food, beer, and conversation at a Heavy Seas Brewing 'beer dinner' at The Old Brogue, in Great Falls, Virginia, in the restaurant's back room, the "snuggery." More photos from the dinner: here. Menu: here.